We’re always looking to improve the Perfect Patients service. This often involves updating existing features to ensure they are as user-friendly as possible. We’re pleased to announce recent improvements to the New Patient Tracker. We believe providing this data is as important as ever. That’s why we enhanced the design of the dashboard to provide a cleaner and more streamlined experience. The NPT provides proof that your website is earning its keep by showing you real-time new patient performance during the last 90 days. But remember, it only works if you’re consistently adding new patients, regardless of their source, as subscribers. 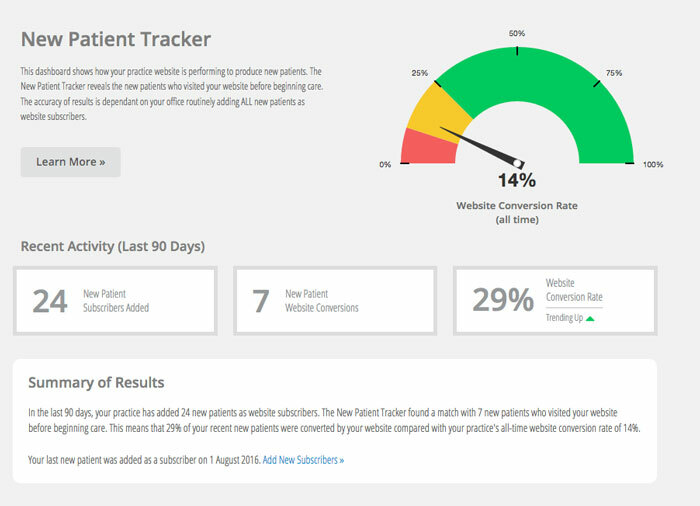 By having someone from your office add new patients to the New Patient Tracker, we can confirm which new patient channels are producing the best results in your jurisdiction. Log in today and check out the new interface! We’ve made it even easier for your delighted patients to leave you reviews online! Our latest update to the New Patient Survey allows patients to easily copy the positive comment they left in the survey to share on the review site of their choice. 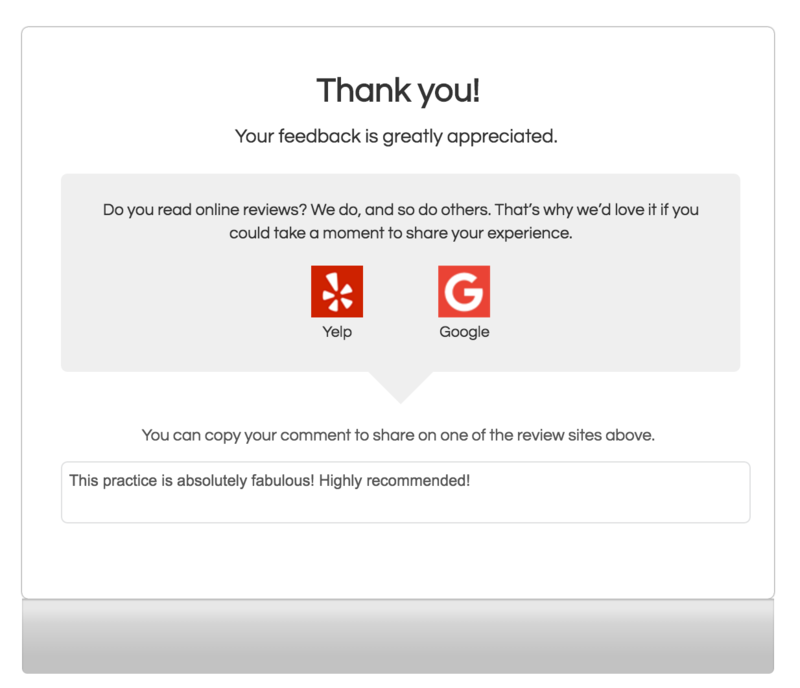 With a simple click, they can go directly to the most popular review sites to share their experience with others. Your patients will be presented with links to the review sites you’ve had us add for you. If you’d like to know what popular review sites we can enable on your NPS, simply contact your Account Manager or our support team. In what some are calling “Friendmageddon,” Facebook recently announced a change to its news feed algorithm. The update will favor posts from friends and family over news stories and business posts in an effort to preserve the platform’s personal elements. What does this mean for your social media presence? Before this update, organic reach was already on decline, and it seems this trend will stay the course. This means that the number of followers who see your Facebook posts could dip even further in the coming months. Facebook’s latest update underscores the importance of engagement, emphasizing the quality of content more than ever. The more engagement you have on your posts (likes, shares, and comments), the better they’ll fare in your followers’ news feeds. Posting fun facts, inspirational messages, and other unique content are great ways to boost engagement. But a simple line of text is no longer enough. Attaching imagery to your posts is essential to make your posts stand out from the hundreds of other posts people see on their newsfeeds each day. Fact: Photo posts get 120 percent more engagement on Facebook. It’s important to encourage followers to visit your practice website regularly (linking to your contact page, new blog posts, etc. ), but filling in the gaps with visual content will improve the reputation of your Facebook page. Not sure what to post? Check out our social media service to receive content that will keep your patients engaged. Is your Perfect Patients website compliant with the latest marketing and advertising regulations in your jurisdiction? There is increasing interest in making sure chiropractic websites aren’t making unfounded health claims. Apart from privacy concerns that address confidential patient information, unproven health claims could pose compliance issues. 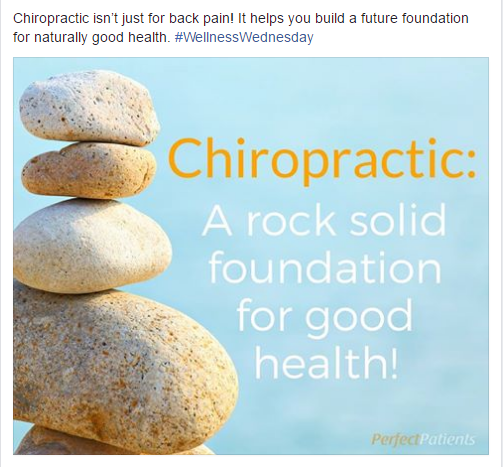 More pressure has been put on chiropractors who are making such claims on their websites, social media accounts, and other marketing platforms. Treatment claims in marketing materials that are not evidence-based are often considered false and misleading advertising. If you’re unsure about the content on your site, it might be time to review your local regulatory guidelines. Each state, province, and country is different, so be mindful of the rules for your particular jurisdiction. If you have concerns about your content, let us know! We’d be happy to update your website. 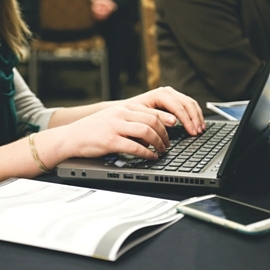 Standard and Premium clients – remember that you receive a five-day preview of new blog posts and newsletters where you can make edits to ensure the content is compliant with your local regulations. « Chiropractic Website Design | Biotune Chiropractic and more just launched!